May » 2017 » The Computer Company, Inc.
Often businesses gather customer information and exchange emails with private information with customers, including details such as names, address, phone numbers, bank account details and credit card numbers. The problem is that many companies conduct business through unsecured email. It means if someone intercepts your email they can steal your personal and financial data. Big problem! Because the stolen data can be used by the criminals for online purchasing or total identity theft. Payment card information was stolen from an unknown number of Target Corp. customers starting on the busy Black Friday weekend. The Secret Service is investigating, according to a spokesman for the agency, which safeguards the nation’s payment systems. Target officials did not respond to requests for comment. The breach involved nearly all of Target’s 1,797 stores in the United States. The report said that at least 1 million payment cards were thought to have been stolen before Target uncovered the operation, but that the number could be significantly higher. When all is said, and done, this one will put its mark up there with some of the largest retail breaches to date. As noted this has already happened to larger companies such as Target, Citibank and Sony, and should cause small business owners to think seriously about email security. One of the easiest options is email encryption, did we mention it is easy? Yes, real easy. Why do it? Email encryption offers you an extra layer of security, as the data inside the email is secured and cannot be opened or read by anyone who is not authorized to do so. The software is available today from The Computer Company and it is a good investment as it offers the necessary protection. Host-based encryption software is where you set up an email domain on the server of the data encryption company to provide your business the needed security. This method can also be used to guard your system against spam, viruses and phishing attacks which is also a welcome added option. This is a good way of keeping virus attachments away from your system and it also prevents hackers getting into your system and then sending out spam from your system. It can also help to stop the hackers sending phishing emails from your company for financial gain. Encryption software is definitely worth considering for your business as it can keep your emails secure and also save you money by preventing the theft of your data. WannaCry – How can I protect my business against the next attack? Ransomware attacks doubled in 2015. The FBI estimated that ransomware would net criminals $1 billion in 2016. And it may be worse in 2017. The latest Ransomware is called WannaCry, and more than 230,000 computers in 150 countries have been affected, locking people out of their data and demanding they pay a ransom or lose everything. Victims include hospitals, banks, telecommunications companies, and warehouses. How do I protect my machine? If you’re running a Windows PC, make sure all your software is up-to-date. Also, don’t open suspicious emails, click on links or open any files you weren’t expecting. How can I protect my business against the next attack? Make sure your business uses a good Antivirus that is kept up-to-date. Those who have Windows Update enabled are usually protected against most attacks. Secure your business by moving to a Data Center with a plan to get updates and backups automatically done for you. As the digital age gives way to more and more users demanding fast, powerful and reliable computing, the business of commercial data centers is benefiting from that surge. The facilities are the backbone of data-driven industries like finance, technology and government. More recently, they have become known for being the underlying apparatuses behind high-frequency trading, the focus of the latest book by journalist Michael Lewis and the talk of Wall Street last week. By strategically placing their servers in the same data centers used by exchanges like the New York Stock Exchange, high-frequency traders receive market information milliseconds faster than average investors. Known as co-location, the practice more broadly (and benignly) refers to businesses renting space under a shared roof for servers and other hardware. All told, there are 2,651 colocation centers in the United States, according to Datacenters.com, a website that tracks the growth of data centers across the globe. About 20 percent, or 555, can be found in the Northeast. Within the region, New York leads the way with 188 data centers, followed by New Jersey with 100. Further north, Massachusetts has 96. Connecticut trails behind with only 17 colocation data centers, a surprisingly small number given Fairfield County’s position in the financial services industry, and the number of mid-sized companies that would rather co-locate than build their own data centers. The Computer Company’s Data Center is unique. SSAE16 Type II, (formerly SAS 70 Type II Certification) is a widely recognized auditing standard developed by the American Institute of Certified Public Accountants (AICPA). By obtaining a SSAE16 Type II, (formerly SAS 70 Type II Certification) an auditor is attesting that an organization underwent a thorough examination process which audited their control objectives (the IT functions that protect the confidentiality, integrity and availability of data). How can you be sure the data center that is storing your critical information is providing the necessary controls to safeguard that data? We live in a global economy with fierce competition. A SSAE16 Type II, (formerly SAS 70 Type II Certification) is one method of ensuring best practices are implemented to comply with industry standards. A consistent supply of power is critical to Data Center operations. We provide this power to independently control uninterruptible power supplies that provide conditioned power to individual racks. The main power is backed up by a natural gas generator fed from a multi-million gallon storage facility located within 1 mile of our facility. In essence, the generator can provide power to the Data Center indefinitely. The Computer Company’s Data Center is protected by video surveillance which provides 24×7 monitoring of both the interior and exterior of the facility. Includes a security-vestibule (man-trap) prevents unauthorized access to the Data Center floor, and card-key and biometrics provide authorization and authentication. The facility also employs modern environmental controls and FM 200 fire suppression system. The Computer Company’s top-of-the-line Data Center facility guarantees the power infrastructure that will keep your business up and running with high speed internet access that can handle any bandwidth. Our Data Center customers consistently cite our hosting reliability, flexibility and responsiveness, and staff expertise as the reasons they prefer The Computer Company’s Data Center services. Call us to find out more about how this service can benefit your business. Re-posted: This article is in the New York Times today. Google said it was investigating an email scam winding its way through inboxes across the country and had disabled the accounts responsible for the spam. 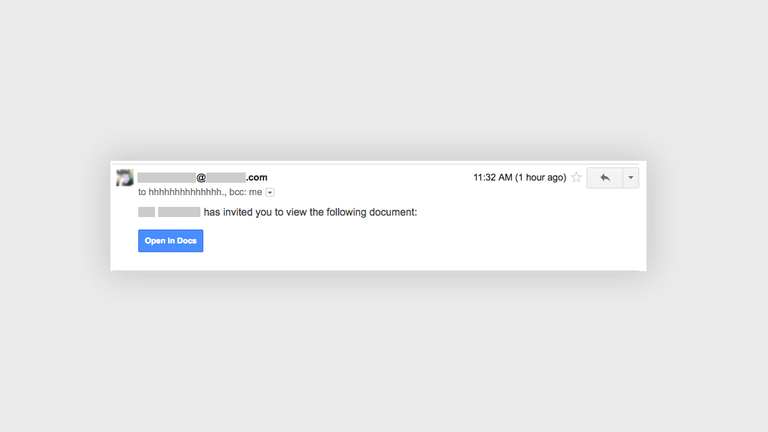 The scheme emerged Wednesday afternoon, when spammers dispatched malicious email, appearing to come from people the recipients knew, beckoning them to click on what appeared to be a shared Google document. Recipients who clicked on the links were prompted to give the sender access to their Google contact lists and Google Drive. In the process, victims allowed spammers to raid their contact lists and send even more email. It is not clear who created the spam email or how many people it has affected. In a second statement, on Wednesday evening, Google said that it had disabled the accounts responsible for the spam, updated its systems to block it and was working on ways to prevent such an attack from recurring. 1. Do not click, even when the email is from your mother. Even when you receive links from trusted contacts, be careful what you click. Spammers, cybercriminals and, increasingly, nation-state spies are resorting to basic email attacks, known as spear phishing, which bait victims into clicking on links that download malicious software, or lure them into turning over their user names and passwords. A quarter of phishing attacks studied last year by Verizon were found to be nation-state spies trying to gain entry into their target’s inboxes, up from the 9 percent of attacks reported in 2016. In this case, the malicious emails all appeared to come from a contact, but were actually from the address “hhhhhhhhhhhhhhhh@mailinator.com” with recipients BCCed. 2. Turn on multifactor authentication. Google and most other email, social media and banking services offer customers the ability to turn on multifactor authentication. Use it. When you log in from an unrecognized computer, the service will prompt you to enter a one-time code texted to your phone. It is the most basic way to prevent hackers from breaking into your accounts with a stolen password. Revoke access to “Google Docs” (the app will have access to contacts and drive). 4. Change your passwords … again. If you’ve been phished, change your passwords to something you have never used before. Ideally, your passwords should be long and should not be words that could be found in a dictionary. The first things hackers do when breaking into a site is use computer programs that will try every word in the dictionary. Your email account is a ripe target for hackers because your inbox is the key to resetting the passwords of, and potentially breaking into, dozens of other accounts. Make your password long and distinctive. Security specialists advise creating anagrams based on song lyrics, movie quotations or sayings. For example, “The Godfather” movie quotation “Leave the gun. Take the cannoli,” becomes LtG,tTcannol1. Report any phishing attacks to Google by clicking the downward arrow at the top right of your inbox and selecting “Report Phishing.” Companies count on those reports to investigate such scams and stop them. If you need help or think you may have this Google Attack, call us immediately.